The DOL appears to be working quickly to undo a number of Obama-era policies and regulations. These latest moves—combined with the rescission of the joint employer and independent contractor guidance—suggest that the DOL is likely to drastically shift priorities under President Trump. 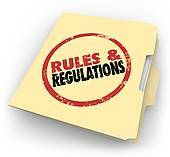 Employers should continue to monitor new developments and consult with legal counsel regarding the status of key regulations and initiatives.